An analyst believes that Intel is pursuing Apple's foundry business. The chip giant already supplies x86-based processors for Apple's Mac products, so it would not be too much of a stretch for the company to extend that to iOS devices as well. 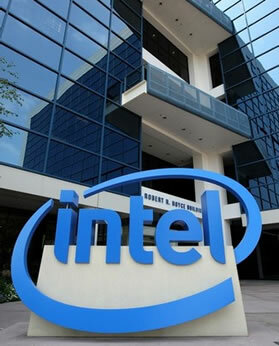 "Based on a number of inputs, we believe Intel is also vying for Apple's foundry business,'' Gus Richard, an analyst with Piper Jaffray & Co., said in a new report according to the EE Times. "It makes strategic sense for both companies. The combination of Apple's growing demand and market share in smart phones and tablets gives Intel a position in these markets and drives the logic volume Intel needs to stay ahead in manufacturing. Intel's manufacturing lead gives Apple an additional competitive advantage in these markets and distances it from Asian competitors that are knocking off its products. Furthermore, it would also serve to weaken Samsung who is a significant competitive threat to both companies." Currently, Samsung Electronics makes the Apple-designed A4 and A5 processors on a foundry basis for Cupertino. That could soon change: Apple and Taiwan Semiconductor Manufacturing Co. (TSMC) have reportedly entered into a foundry relationship for the A5 and follow-on chips. For now, Samsung will remain Apple's main foundry, but it's clear the company is looking to shift to someone new. Samsung and TSMC each have the fab capacity to support Apple, but it's not clear if Intel does. Last month, Apple sued Samsung over similarities between the companies' handset and tablet products. Apple accused its partner of copying design elements from the iPhone and iPad in its own devices, such as the Galaxy S 4G, Epic 4G, Nexus S, and Galaxy Tab. Less than a week later, Samsung fired back at Apple with lawsuits in three countries alleging infringement of patents on smartphone technologies. Regardless of how the patent lawsuits play out, the damage has been done: Samsung and Apple will no longer be partners and competitors. Slowly but surely, their relationship will soon only be competitive. It's unfortunate because both companies are going to lose out. Samsung will have a tough time finding as big of a customer as Apple, and Apple will have trouble finding a company that can fulfill its supply demands.